Mondo is thrilled to announce their official license from Disney, with plans to create new products across apparel, collectibles, games, and more. To kick things off, Mondo is excited to unveil their first collectible pins for Mickey Mouse as well as new tiki mugs featuring Sorcerer Mickey from Disney’s Fantasia and Ducktails’ Scrooge McDuck. “Imagination is often associated with Disney, and rightfully so. Through their films, animated classics, and characters, Disney's pantheon has inspired generations, old and young, to dream big. For us here at Mondo, it's no different. We've all had our imagination stirred by Disney in one form or another in the work we do- whether it's to design better, dig deeper for inspiration, or just add more heart. With this in mind, we couldn't be more proud of what we're bringing to both Disney and Mondo fans alike. From our pins and tiki mugs, as well as other fun items down the line, we're taking our queue from Walt himself- ‘If you can dream it, you can do it,” said Mondo Creative Director for Toys/Collectibles Brock Otterbacher. Mondo is proud to present an artistic line of Disney enamel pins as part of an ongoing series. There’s no better way to celebrate this exciting assemblage of collectible enamel pins than with the beloved and historical True Original icon, Mickey Mouse. 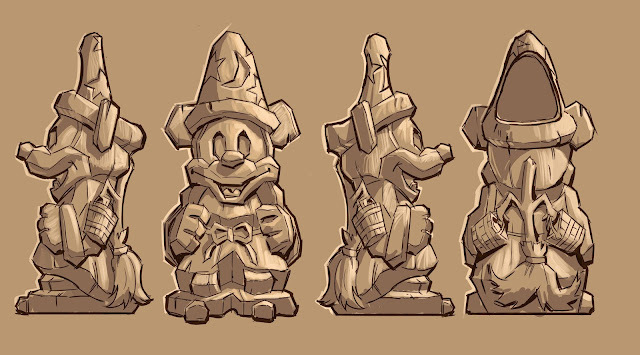 Seasoned veteran Tom Whalen and design powerhouse DKNG Studios offer up their treatments of Sorcerer Mickey and the classic Mickey, respectively. 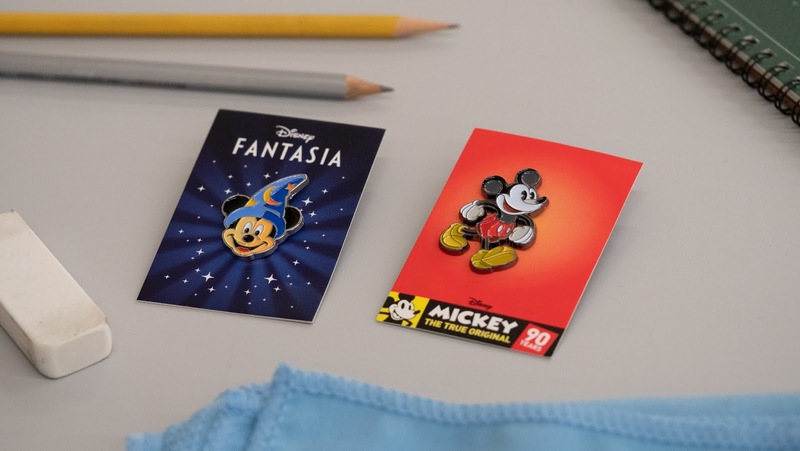 Each month collectors can expect brand new pin designs encompassing the wide range of Disney’s film and television legacy from vaulted treasures to modern classics. Mondo have re-envisioned an impressive lineup of the most recognizable Disney icons as tiki mugs, and they couldn't be more ecstatic to take on some of the biggest yet, starting with Mickey Mouse. As seen in the 1940 classic Disney’s Fantasia, Sorcerer Mickey will be the first in their line of Mondo Tee-ki mugs based on various Disney animated and live action gems. Next will be Scrooge McDuck, who even in mug form is never far from his Money Bin, followed by mugs from Disney’s The Lion King, Tim Burton’s The Nightmare Before Christmas, and many, many more! Now's your chance to drink up the magic of Disney! Mondo is an expanding enterprise with a passionate love of film, art, music and pop culture, best known for creating limited-edition posters, vinyl soundtracks, premium collectibles and games. Based in Austin, Texas, the team collaborates with an international network of talented artists and creators to produce the highest quality products inspired by licensed properties and original IPs. Over the last decade, Mondo has partnered with leading entertainment brands including DC Comics, HBO, Paramount Pictures, Sony, Universal Studios, and Warner Brothers, along with dozens of independent studios and filmmakers from around the world. Find out more at mondotees.com.